Visitors can enjoy throughout the year the mild and privileged climate of Nerja and take pleasure in the calm and relaxed lifestyle of this beautiful village that still preserves the character of its Moorish past. In Nerja we can find a wide variety of quality accommodation, together with a good offer of leisure time activities and cultural events, especially during the summer months. 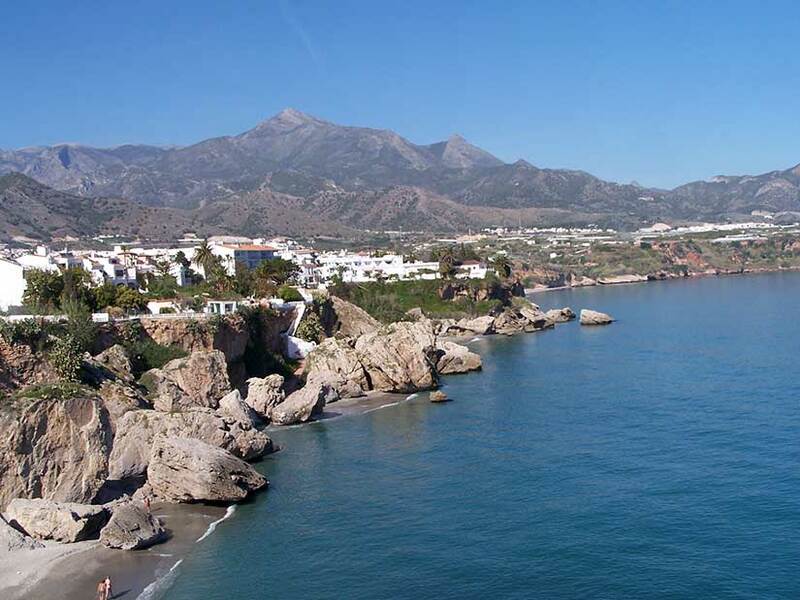 Nerja counts with 13 kilometres of coastline where we can find many little small hidden coves, especially around Maro and the more popular Burriana beach that is awarded with the Blue Flag. Many artists have set up residence in this picturesque spot with inspiring landscapes. The countryside is wonderful all around the area and there is as well a camping for those who want to be in direct contact with nature. So there are as well plenty of alternative activities such as hiking, cycling, canoeing, water-ski, diving or fishing and paragliding or cave tourism for the more adventurous ones.